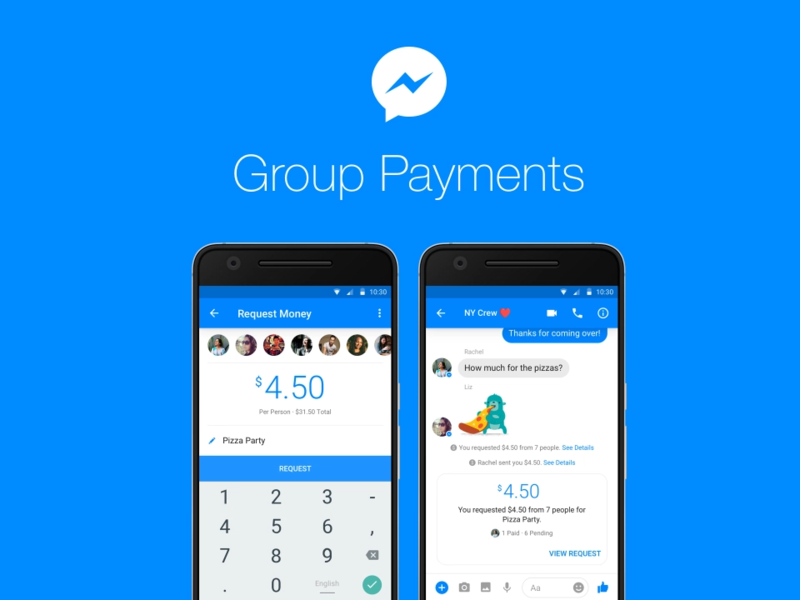 In 2015, Facebook launched the ability to do person-to-person transactions in Messenger, but it was limited to two people at a time. It's a neat feature, especially if you or your friends don't want to use something like PayPal, but it's now expanding to group conversations starting today. To get the ball rolling, simply hop into an existing chat or create a new one, then tap the plus icon in the lower left. This will expand with options, but the one you're looking for is the dollar sign ($) one. You then choose to whom to send or from whom to request money (you can select the whole group or a few people). The entire sum can be split evenly across all applicable persons or a specific amount can be assigned. You can specify the reason for the request (e.g. bill, gift, fare, etc). A message will later appear in the chat to note who has paid and how much. Facebook claims that this is super secure and safe — it's also free. This is limited to the U.S. with only Android and desktop users able to try it out for the time being.